InfraDigital Technologies Pvt. Ltd, which operates online doctor consultation platform AlternaCare, has raised $500,000 (Rs 3.35 crore) in seed investment from Eros Labs. The Delhi-based startup plans to use the money for product development, hiring, branding and geographic expansion, it said in a statement. AlternaCare was founded by Abhishek Dwivedi, a graduate of Delhi Technological University. Dwivedi previously worked with HealthKart and Stern Fisher, an organisation which connects angel investors and entrepreneurs. The startup began operations in January and launched its product in April. 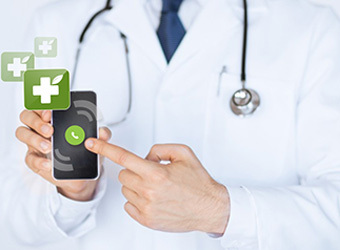 It provides remote consultations to patients over multiple platforms such as voice calls, website, text messages and mobile apps such as WhatsApp. "Access to high-quality healthcare is a very significant challenge in India. AlternaCare presents a huge opportunity to address this underserved market," said Karan Bedi, CEO of Eros Labs. The technology investment arm of Eros Ventures is incubating early-stage startups in fashion, technology and digital healthcare segments. It has also funded Look At Me, a fashion e-commerce startup, and House of God, a platform for spiritual and religious content. AlternaCare joins several other health-tech startups in the segment to raise funding in the recent past. Video-based healthcare consultation platform SeeDoc raised around $1 million (around Rs 6.7 crore) in its pre-Series A round of funding led by early-stage venture fund YourNest in July. Doctor consultation startup DocsApp secured seed investment of $1.2 million from investors led by Japanese venture capital firm Rebright Partners in April. ThingsMeet Solutions Pvt. Ltd, which owns soon-to-launch healthcare app Prescribez, has raised an undisclosed amount in seed funding from angel investor Ankush Mehta.